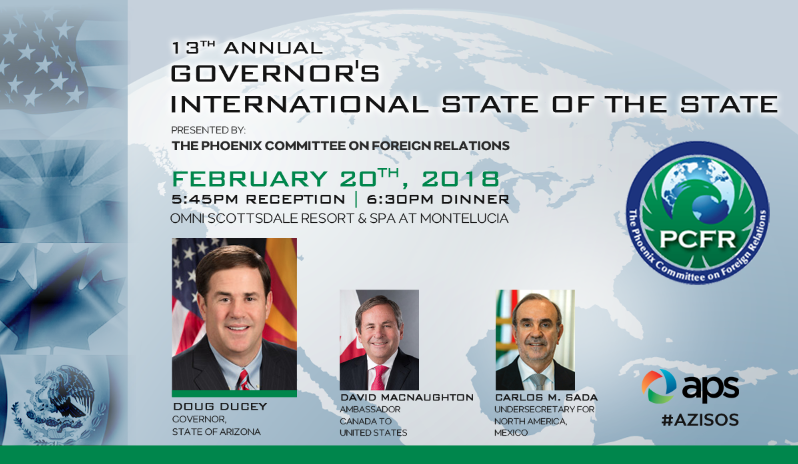 Join PCFR and the Office of Arizona Governor Doug Ducey for the 13th Annual Governor's International State of the State sponsored by APS. This year's event will feature a keynote address from Arizona Governor Doug Ducey followed by a panel discussion with Governor Ducey, Canadian Ambassador David MacNaughton, Mexico's Undersecretary for North America Carlos Sada. The panel will discuss opportunities and challenges facing North America and the international community before taking questions from the audience. 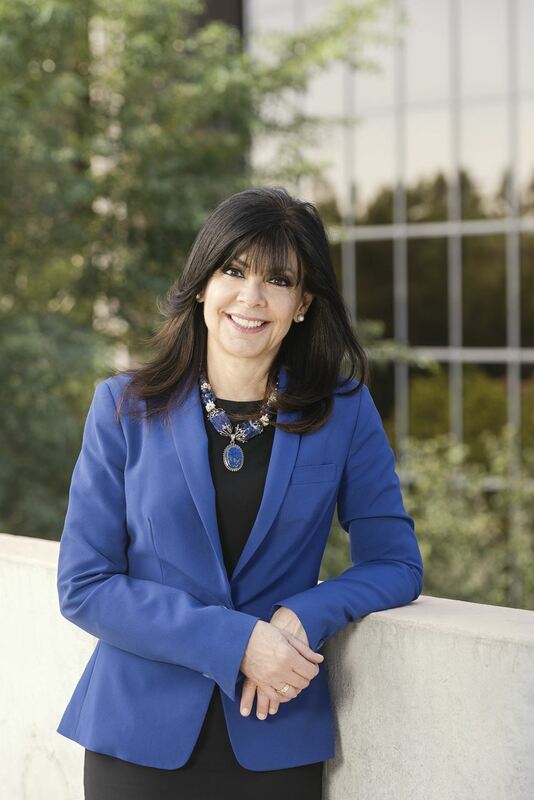 The Governor's International State of the State offers a unique opportunity to connect with Arizona's industry leaders while learning from experts in global business and relations. To learn more about event sponsorship or purchasing a table click here.